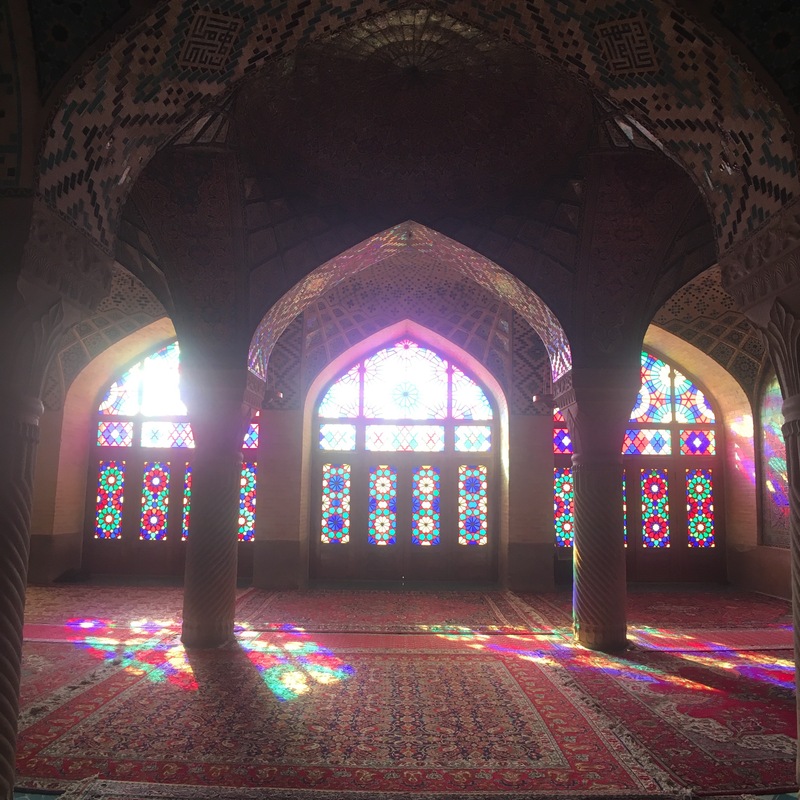 Shiraz – Pink Mosque | What's in a Journey. The Pink Mosque was not on my original itinerary, but my guide said it was her favorite and we had a bit of extra time, so we stopped in the morning before heading out to Persepolis. It did not disappoint! 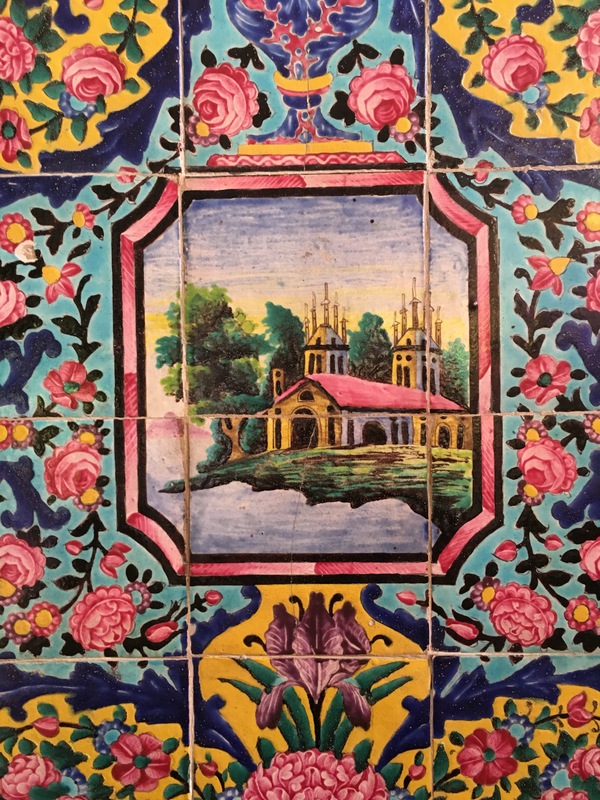 Built about 150 years ago during the Qajar Dynasty, the mosque is particularly unique because it is the only one with European motifs – images of buildings, possibly places of worship, are surrounded by pink flowers, pink being the main color of the building and how it got its name. I’m told the best time to visit the Mosque is in the morning, and I could easily see why. 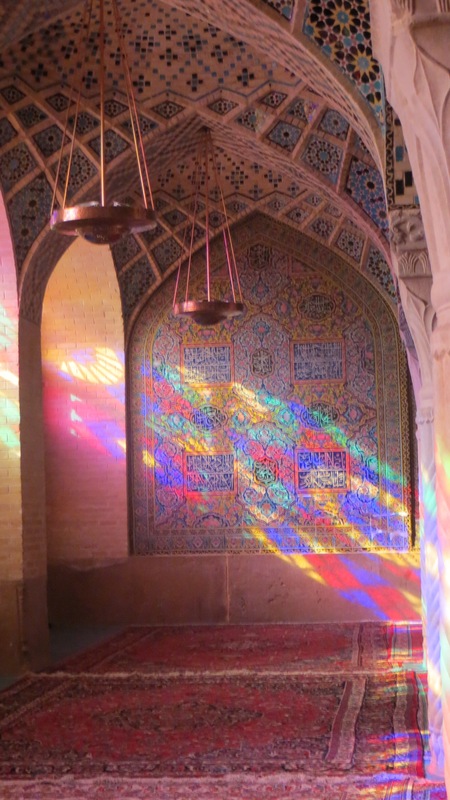 The morning light shines through the stained glass, completely illuminating the room with a glow of rainbow light. It was absolutely delightful to see. 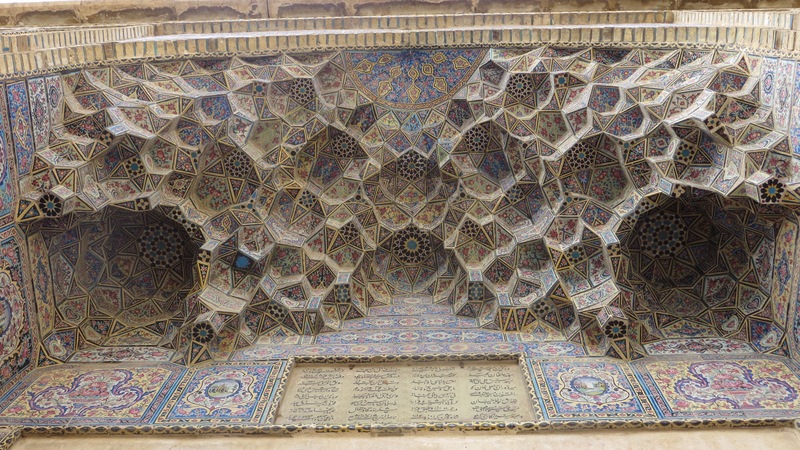 The way the colors sprayed themselves across the already beautiful tiled work and the Persian carpets in deep reds. Most of the stained glass is covered by curtain in order to protect the wood of the building from the sun, but even with just the sun streaming through the top section, the glow is warming. Of course, as in any Mosque, one takes their shoes off before entering. 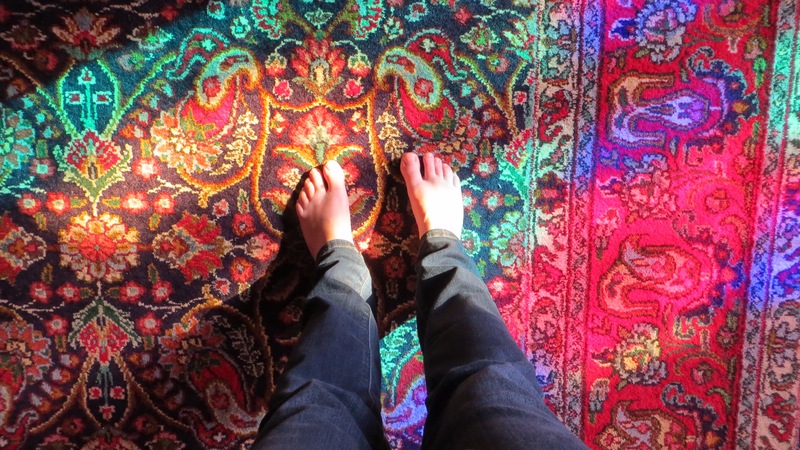 The PDX Carpet holds nothing on a Persian rug! Gorgeous and amazing to see! So envious! (I’ve probably been putting that on all of your posts!) I’m enjoying your writing, too…go, Kimmet, GO! Stunning Jessica, I’m so glad you got to go!